If you have ever dreamed of visiting a desert oasis, you should consider traveling to Cairo. This large metropolitan city is the biggest in Africa and the Middle East. It is located in Egypt and is inhabited by over 16 million people. There are a number of things to do in this wonderful and magical place. You can go off to see the pyramids, shop in one of the many local malls or get to know the local culture by visiting one of the museums. Read more to find out what to do in Cairo. Cairo is the home to Africa's first metro system. Getting around Cairo might be a bit difficult for visitors who are not familiar with the place or are not accompanied by a tour guide. You will find that having two or more maps will be most useful. Not all maps are the same, some have different street names and there are some smaller roads which are not included in other documents. You might find yourself spending most of your time in a taxi when traveling in Cairo as the drivers will know their way around the city. When in Egypt, you must take some time to visit the Great Pyramids of Giza and the Sphinx. You can book a guided tour around this area so that you can also learn about Egyptian culture. 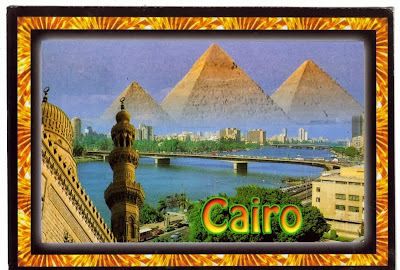 There are also other ancient places in Cairo that you should see. This city is rich in history. You can see the Christian, Greek, Roman and Jewish history of Egypt throughout this city. Drop by one of the many local museums, like the Coptic Museum and the Egyptian Museum to learn more about the country. When you are done marveling at the beautiful pyramids, you can immerse yourself in local culture by trying Egyptian coffee and shisha. You can also take a ride down the Nile River by booking a trip on the Felucca. This is a wonderful way to spend a romantic holiday. You can cruise down the ancient river under the beautiful Egyptian sky glittered with more stars than you can imagine. There are a few parks in the city and some local zoos that you might want to visit. The Giza Zoo, located in one of the older districts in Cairo is one of the oldest zoos in the world, being built over 100 years ago. Cairo offers food that caters to every taste. They have a lot of restaurants which serve Middle Eastern Cuisine. Ironically, you might want to avoid any restaurant that serves American food. The price of Western cuisine in this city is ridiculously expensive. The best restaurants are the ones where locals frequent, usually located away from tourist centers. A lot of the hotels and the Nile boats in the area offer wonderful Middle Eastern cuisine with a wide selection of food. Most of the Nile Boat tours have excellent buffets that are a must try. Chad A. Hagy is a travel enthusiast who likes writing about various destinations around the world.